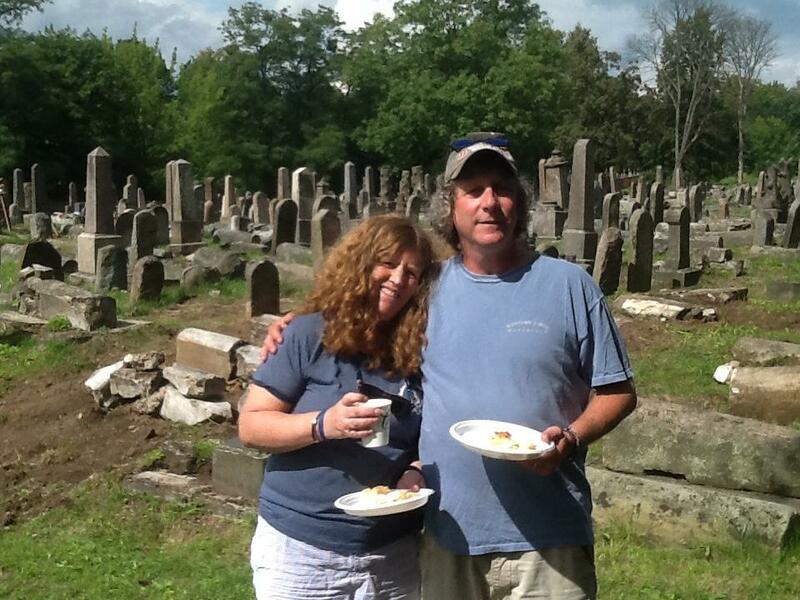 Amy and Josh Degen are helping to restore a Jewish cemetery in Bialystok, Poland. When Amy and Josh Degen visited the Bagnowka Jewish cemetery in Bialystok, Poland, in 2015, they weren’t searching for traces of Amy’s ancestors from the region. Murdered by the Nazis, they did not have graves there. Instead, the Groton couple stumbled on a restoration mission that continues to this day. Amy, a Holocaust educator trained by the Brookline-based nonprofit Facing History and Ourselves, had traveled that year to Poland to attend a forum on post-World War II Polish-Jewish relations. She and Josh then drove to Bialystok, which had been home to her relatives who perished in the Great Synagogue fire set by the Nazis in 1939, in the ghetto uprising against the Germans in 1943, and at the Treblinka extermination camp. During their visit to Bagnowka with local resident and Jewish advocate Lucy Lisowska, the couple was shocked by the devastation of the cemetery, which originally contained an estimated 30,000 headstones and monuments. Watching a local group working to restore the site provided Josh with an idea to get involved. The couple launched a fund-raising campaign that generated more than $13,000 through GoFundMe and private donations. After returning to Bagnowka in August 2016, their six-member group and some local volunteers uncovered, cleaned, reassembled, and reset 301 stones with newly painted names over six 10-hour workdays. The Degans recently launched a second fund-raising campaign on GoFundMe to continue their restoration efforts this summer. To date, $2,465 has been raised toward the $18,000 goal to repair an additional 500 of the thousands of headstones and monuments that remain in disrepair. In addition to resetting fallen but unbroken headstones, they plan to work with European volunteers who will repair the broken ones so they can be reset in the future. For more information, search Bialystok at gofundme.com.